We’re entering a new and exciting phase in the evolution of cloud computing. Recently, Google announced general availability of Anthos (formerly Cloud Services Platform) along with its pricing and support for multi-cloud environments in addition to on-premises infrastructure. Not only does Platform9 eliminate the operational burden of cloud at scale by freeing the internal staff and offloading all production issues, monitoring, troubleshooting and healing to be handled automatically – by the service – it comes with the industry’s only 99.9 per cent SLA guarantee on any infrastructure - including your existing data centres. Google Anthos SLA is significantly more limited. Platform9 also has 9 consecutive quarters of strong customer satisfaction (>98 per cent consistently), a clear RACI for enterprise customers looking to manage their complex environments, and a strong customer success organisation that comes with deep operational experience in the enterprise. Google Anthos is based on fully managed open source technologies - Kubernetes and Istio - which are the industry standards for container orchestration. While there is little doubt that this is the standard technology stack for most green-field applications that are microservices or containers-based, what’s still missing is a way to manage virtual machine workloads, for traditional applications which still represent the vast majority of enterprise workloads. Supporting modern container-based applications is great, but what about all the legacy, VM-based applications that are still in operation, and will be for a long time? Platform9’s Managed Kubernetes has already been in production globally since 2017 across multiple public clouds and on-premises environments. In addition, our fully-managed SaaS solution supports bare metal environments and virtualised private or hybrid cloud --with managed OpenStack and Project Omni as the open source foundation. The set of environments available via Anthos includes Google Cloud Platform (GCP), limited on-premises infrastructure such as VMware vCenter 6.5, and future availability on other public clouds such as AWS and Azure (specifics on availability of multi-cloud aren’t yet available). This is an exciting time in the cloud industry where we can finally stop talking about cloud “as someone else’s data centre” and instead assuming that cloud will become pervasive, running anywhere from edge to colo, to public cloud environments. Unlike Google, Platform9’s business model isn’t dependent on selling (renting) infrastructure, and therefore, our architecture makes it easy to plug-in any infrastructure and have it brought under central management and visibility, in one platform. We already provide significantly broader coverage of supported infrastructure - including all of the Anthos supported environments (GCP, VMware vCenter, AWS and Azure), as well as KVM or other virtualisation solutions, bare metal environments, edge environments, and other cloud providers such as Oracle and IBM cloud. I was excited to see Google Anthos help drive cloud modernisation by using best of breed cloud technologies on-premises, whereas traditionally public cloud providers and even VMware have been pursuing a strategy of “lift and shift” to port existing workloads to the cloud. Moving legacy, inefficient applications from an on-premises data centre to the public cloud does nothing other than incur unnecessary expenses with virtually no business benefit. It is great to see Google raise the bar vs. other cloud providers and VMware, and hopefully this will lead to better long-term decisions by enterprises. Platform9 customers have been realising the benefits of adopting cloud technologies on existing infrastructure for years, now. Instead of just lifting and shifting workloads under the guise of cloud transformation, they’re enabled to truly modernise their applications and infrastructure for long-term sustainability, leveraging any infrastructure of their choice. Unlike Anthos which is limited to containerised workloads only, Platform9 also enables customers to modernise using VMs, IaaS, SDN and Serverless technologies in addition to containers and microservices. Google Anthos delivers on the long-cherished vision of “write once, run anywhere” by virtue of its Kubernetes foundation. The knowledgeable reader will realise that this is something enabled by containers and Kubernetes themselves and that there are many advanced Kubernetes applications which are already realising the benefits of being able to build and run applications consistently across any environment. In fact, it is unclear how well Google Anthos truly delivers on this claim, because it uses a number of non-standard technologies around the core Kubernetes engine (e.g. Google Stackdriver vs. open-source Prometheus). We’re entering a new and exciting phase in the evolution of cloud computing. The days of thinking about cloud as “someone else’s data centre” are coming to an end. 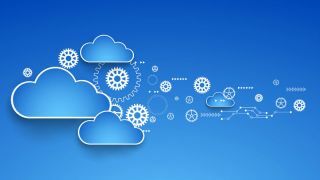 Cloud is now going to be defined as how software is being built and operated. And the core of this next generation of hybrid clouds is “Managed open source” - enabling organisations to take advantage of the innovation, scale, future-proofing and economics of open source, without the operational burden of running it yourself. This is a technology approach pioneered by Platform9 years ago, and is at the core of everything we do. We’re excited to have contributed to the industry’s evolution and look forward to helping every enterprise succeed in their journey to hybrid clouds and modern application delivery.